It all started in a small town outside of Columbus, OH when a group of folks passionate about lumber and construction got together to build a more reliable supply and construction partner for area builders and contractors. 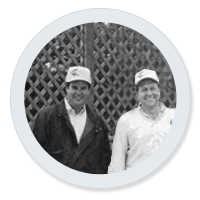 Shortly after the inception of Contract Lumber it was quickly realized that our unique approach to the industry was in high demand. We swiftly expanded operations to the Cincinnati market to further serve the needs our growing client base. With a quickly growing multi-family market in the Midwest in it's sites, Contract Lumber South was founded to create a streamlined approach to the apartment market. Situated on the south side of Columbus in Groveport, OH Contract Lumber South still thrives today. Keeping with the same growth pattern of previous years, Contract Lumber is invited by several clients to service their needs in the Indianapolis, IN market. This location would mark Contract Lumber's first out-of-state venture. Indianapolis market growth demands a second location across town in Brownsburg, IN to serve the needs of our thriving builders and contractors. This second location includes a component plant for prefabricated wall panels, door hanging facilities, mill shop and more. During the building boom the Columbus market saw major growth in the northern corridor of the central Ohio region. 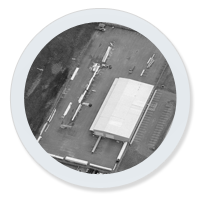 A strategically placed satellite shipping facility was established so we could service our client's needs on a just-in-time basis. 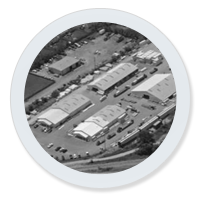 We understand that all major parts of your building package need to have reliable quality and delivery. That's why we established Contract Building Components in Marysville, OH to service the growing needs of the Midwest with roof trusses, wall panels and other manufactured components. Another out of state invitation from a repeat client helped make it obvious that we should establish a presence in the southeastern markets. 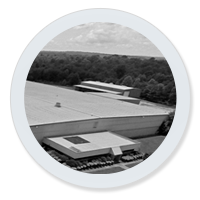 Our Charlotte, NC facility represents our flagship operation in the Southeast. Having the inventory on the ground for our repeat clients, when and where they need it is of great importance to us. Operating the largest lumber reload in downtown Columbus allows us the flexibility to make educated buying decisions for key commodity items to help our client's navigate the ever-changing lumber market. With the acquisition of Atlanta, GA based Case Engineered Lumber Contract Lumber expanded it's already large presence in the engineered wood market. Adding full engineering capabilities for the savviest builders who want to get the most value out of their building's performance. This same year, a second engineered I-joist facility was added in Columbus, OH. These fully automated precision trim facilities have established Contract Lumber as the "go to" partner for whole house engineering systems, pre-engineered I-joist floor systems and make coordinating mechanical trades a breeze for our clients. 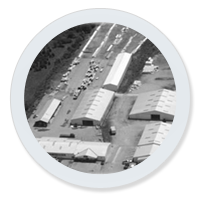 In 2014 we expanded our North Carolina operations with a large distribution and manufacturing facility in Satesville, NC. This facility serves as an important hub as we continue to grow in the Carolinas and enhances our production capability and market reach.